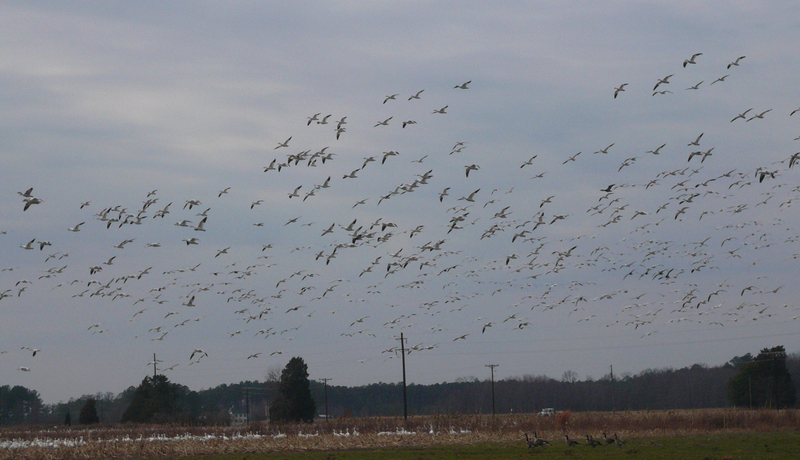 February 2008, late morning at the end of the wildlife drive I found a small field of mostly snow geese and a few Canada geese. I pulled to the side of the road and setup the mics using a car door as a wind break, it was very windy. Several high altitude jets and the usual traffic din can be heard throughout, but it’s not bad for a side of the road recording.